Photos from the pairs event at the 2017 US National championships in Kansas City, MO. Please do not reproduce photos. 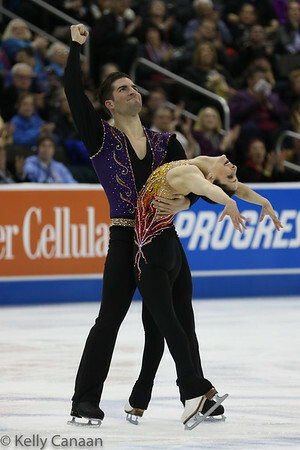 Brandon Frazier lifts partner Haven Denney during their short program at the 2017 US Figure Skating Championships. Marissa Castelli and Mervin Tran get set to begin their free skate at the 2017 US Figure Skating Championships. Ashley Cain and partner Tim LeDuc finished 3rd in the pairs' event. 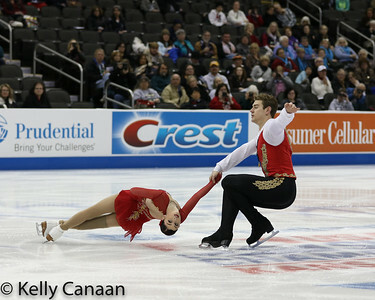 Haven Denney and Brandon Frazier perform a death spiral during their short program in Kansas City. Mervin Tran lifts partner Marissa Castelli. 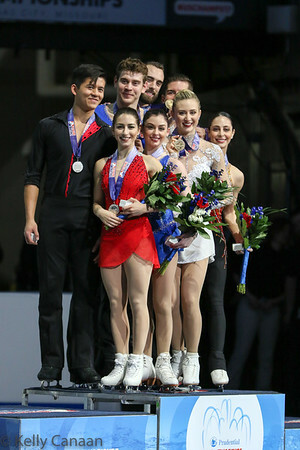 They won the silver medal. Ashley Cain and Tim LeDuc looking lovely here, on their way to a bronze medal. Tarah Kayne and Danny O'Shea competed in the pairs' short program but withdrew after Kayne suffered a concussion from a fall. 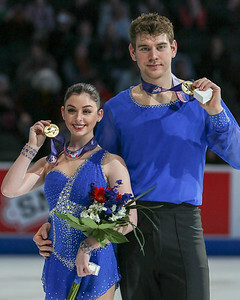 Haven Denney and Brandon Frazier perform their free skate in Kansas City, winning the gold medal. Marissa Castelli and Mervin Tran sail their way to a silver medal in the pairs' event. Nate Bartholomay and Deanna Stellato-Dudek won the pewter medal in Kansas City. Tarah Kayne and Danny O'Shea fought threw the short program after Kayne had a hard fall but withdrew from competition before the free skate. Brandon Frazier reaches high as partner Haven Denney holds on tight during their free skate. They won gold. Deanna Stellato-Dudek returned to competition after 16 years away, this time as a pairs skater with Nate Bartholomay. They finished 4th. Marissa Castelli and Mervin Tran skate their short program in the pairs' event. 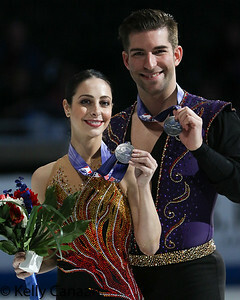 Ashley Cain and Tim LeDuc had only been together 6-7 months but were strong enough to win bronze. New pairs team Nate Bartholomay and Deanna Stellato-Dudek celebrate a good short program.